Home Congress US Government US Virgin Islands Donna Christensen Poised to Become First Black Woman Governor in the U.S.
Donna Christensen Poised to Become First Black Woman Governor in the U.S. The United States has never had a Black female as the governor of a state-level jurisdiction but that could change in the November general election. U.S. Virgin Islands Del. Donna Christensen (D) is well on her way to becoming the governor of her territory. She and Basil Ottley Jr. won the crowded Aug. 2 Democratic Party primary for governor and lieutenant governor, respectively, and because of the strength of the party, will face minor opposition from the island’s other political parties in the Nov. 4 general election. Christensen has been the delegate from the Virgin Islands since 1997. Before her election to Congress, she practiced family medicine for 21 years and held other political offices in the territory. The delegate earned her bachelor’s degree from St. Mary’s College in Notre Dame, Ind. in 1966 and her medical degree from the George Washington University in the District in 1970. She did her residency at Howard University Medical Center from 1973-74. While African-American females have served as lieutenant governors of such states as Ohio and Florida, no Black female has mounted a serious bid to lead a state. The Virgin Islands has a population of 106,405 and is 76 percent Black. The residents are United States citizens but cannot vote in presidential elections even though they can participate in the Democratic and Republican party activities. 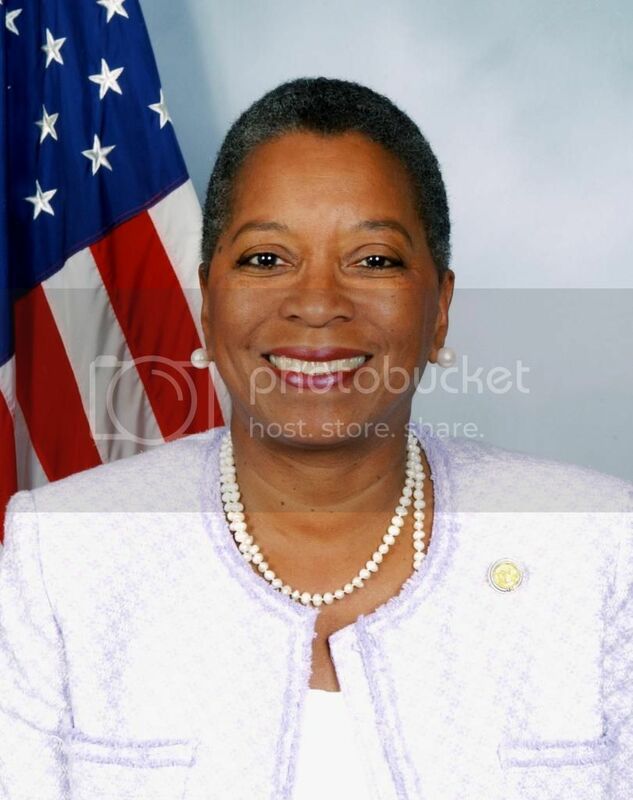 As a delegate like the District’s representative Eleanor Holmes Norton (D), Christensen cannot vote on the floor of the House but is allowed to fully participate in committee activities, party caucuses and to gain seniority based on years of service. Christensen, who is serving her ninth term, is the first female physician to serve in the U.S. Congress, the first woman delegate from the Virgin Islands and the first woman to represent an offshore territory.